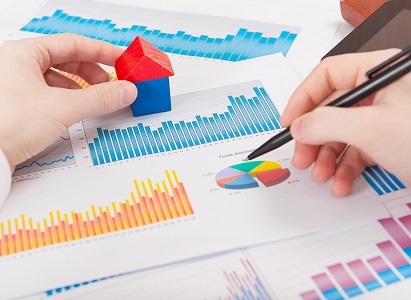 With data collected from the monthly loan-to-valuation ratio (LVR) survey completed by registered banks across the country, new residential mortgage lending commitments are broken down by loan-to-valuation ratio and borrower type. Borrowers are split into four distinct categories, first home buyers, other owner occupiers, investors, and people borrowing for business purposes. The survey reports all new loans taken out to purchase a property, along with top-ups on existing loans and loans switched between banks. In September, the total amount of mortgage lending in New Zealand was $4.264 billion, rising from $4.024 billion the month before. Owner occupiers accounted for the biggest market share at $2.541 billion or 59.6 percent, with investors accounting for $1.226 billion or 28.7 percent. First home buyers accounted for just $430 million or 10.1 percent of the market, with business lending accounting for $67 million or 1.6 percent. The percentage of first home buyers increased from 9.7 percent in August, with other owner occupiers and investors dropping from 59.7 percent and 29 percent respectively. The C31 report also analysed lending ratios, with all mortgage lending divided into higher than 80 percent LVR and lower than 80 percent LVR lending. While lending above the 80 percent LVR threshold made up less than 10 percent of all lending, first home buyers were well represented. Accounting for roughly a third of all high LVR lending first home buyers outnumbered investors who were at just 10.6 percent. Other owner occupiers accounted for just over 55 percent of high LVR lending and business borrowers accounted for less than 1 percent. There is little doubt the LVR 'speed limit' is affecting first home buyers, with bank lending above 80 percent LVR now just $359 million, down $828 million from $1.187 billion in September last year. New mortgages under the 80 percent LVR limit now account for almost 92 percent of total lending, with first home buyers making up just 8 percent of this group. Investors accounted for 30.4 percent of low LVR lending, with other owner occupiers accounting for 60 percent and business borrowers 1.6 percent. With strong house price inflation, supply shortages, and interest rates sitting near 50 year lows, the RBNZ are unlikely to remove LVR restrictions until new policies are introduced to slow down housing credit. Speaking at the Reserve Bank's Financial Stability Report press conference, Deputy Governor Grant Spencer offered clues on possible policies, proposing a separate asset class of residential property investment and a capital adequacy treatment for reverse mortgages.